In essence, the court ruled that the men could not be tried retroactively for crimes which were not legally defined at the time it was allegedly committed. 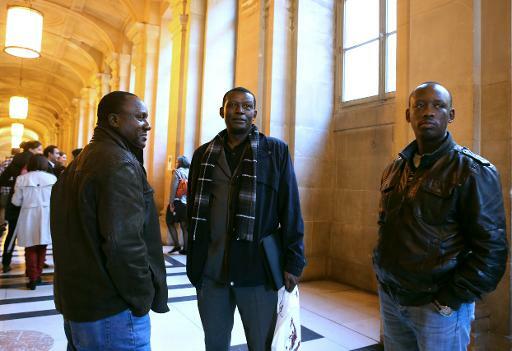 The court opined that as the crime of genocide (and any applicable punishment) was not specified in the penal code of Rwanda at the time the crimes were committed in 1994, the Court of Cassation refused to extradite the three men. A classic case of nullum crimen sine lege, it would seem. This principle holds that a criminal conviction can only be based upon a law which existed at the time the acts or omission with which the accused is charged were committed. Case closed? Not exactly. As explained below, this ruling is deeply perplexing, as it goes against established norms of international law, and the fact that many other jurisdictions have held the complete opposite – that Rwanda does have the legal competency to try crimes of genocide. Before examining the reasoning and impact of this decision, let us first recall the recent practice of other states and institutions vis-à-vis extradition to Rwanda for alleged genocide crimes. Notably, the primary focus of previous extradition battles to date has not been the potential violation of the nullum crimen sine lege principle, but rather whether suspects would receive a fair trial in Rwanda. After numerous failed attempts at referring cases to Rwanda – primarily due to concerns over sentencing practice, witness intimidation and the rights of the accused – the opening of the extradition floodgates began with the seminal Uwinkindi decision at the International Criminal Tribunal for Rwanda (‘ICTR’) in 2011. The ICTR Prosecutor applied to transfer Jean Uwinkindi’s case to Rwanda under Rule 11bis of its Rules of Procedure and Evidence, which permits the ICTR to refer an indicted case to another country for trial, as long as either: (i) the crime was committed in the territory of that country; (ii) the accused was arrested in that country; or (iii) the country otherwise has jurisdiction over the crime and is willing and “adequately prepared” to accept the case. In 2011, the ICTR Appeals Chamber confirmed that the Rwandan justice system had finally gained the capacity to conduct national prosecutions, and that Jean Uwinkindi could be transferred. 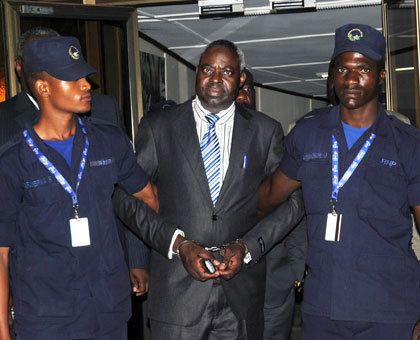 He subsequently arrived in Kigali in 2012, while a second defendant, Bernard Munyagersheri, was transferred in 2013 after his appeal against the referral of his case was similarly dismissed. Since Uwinkindi, several national jurisdictions have followed suit. In 2011, the European Court of Human Rights (placing heavy reliance on Uwinkindi) ruled that the Swedish extradition of a genocide suspect to Rwanda to face trial would not violate the ECHR’s provisions regarding fair trial rights or its prohibition of cruel, inhuman or degrading treatment. In February 2012, Canada deported Léon Mugesera to Rwanda, in spite of his claims he would be persecuted. Courts in the Netherlands and Norway have also recently extradited suspects. 9. The Genocide Convention of 1948 as well as the Geneva Conventions of 1949 and their two Additional Protocols of 1977 were binding on Rwanda in 1994. Similarly, Rwanda had also ratified the Convention of 1968 on the Non-Applicability of Statutory Limitations to War Crimes and Crimes against Humanity. 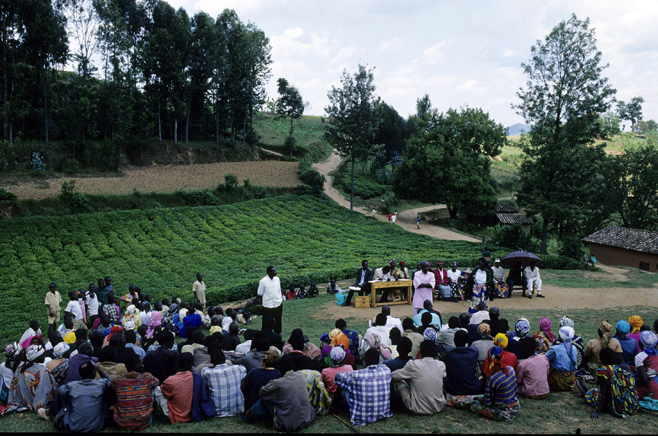 According to Article 190 of the Rwandan Constitution of 2003, treaties which Rwanda has ratified are more binding than organic and ordinary laws. Nonetheless, Rwandan domestic legislation refers to these treaties and jurisprudence reflects that these treaties have been applied, depending on the charges, together with material provisions of Rwandan domestic law. Thus, the ICTR and numerous national jurisdictions have judicially found that Rwanda has the requisite jurisdiction and legal competency to try crimes of genocide. Whether the Rwandan justice system can actually deliver a fair trial, devoid of political pressures, is another matter for another post. Indeed, properly answering that question requires a deeper, socio-political analysis, more so than a legal one. Which brings us back to the Court of Cassation. What follows is the key reasoning behind the decisions of rendered on 26 February, available in French here and here (any mistakes in translation are my own). Put simply, the Court of Cassation’s decision flies in the face of cumulative state practice and ad hoc jurisprudence, and illustrates the rigid constraints of French civil procedure. Taking the court’s reasoning to its logical conclusion, it would follow that every genocide trial ever conducted under the domestic laws of 1996 and 2004 are fundamentally illegal, including every gacaca genocide trial that took place, literally thousands of them across the country. Such a conclusion would be patently absurd. Genocide has long been recognised as a crime under international law since the convention of 1948. The evolution of universal jurisdiction should permit any state, not just Rwanda, to prosecute the ‘crime of all crimes’. Indeed, such cases have recently occurred in Canada, the Netherlands, Norway, Sweden, Germany and in France. Take the Statutes of the International Criminal Tribunal for the former Yugoslavia (‘ICTY’) and the ICTR. The ICTY has jurisdiction over grave breaches of the Geneva Conventions, violations of the laws and customs of war, genocide and crimes against humanity, committed in the territory of the former Yugoslavia since 1991. However, Resolution 827 of the Security Council, which authorized the establishment of the ICTY, was adopted in 1993. Similarly, Resolution 955 establishing the ICTR was adopted in November 1994, some months after the genocide occured in Rwanda. Importantly, as both the ICTY and ICTR Statutes authorized the ad hoc tribunals to apply only customary international law existing at the time of the alleged commission of crimes in Yugoslavia and Rwanda, the substantive criminal law was not applied retroactively. This made it possible for the ad hoc tribunals to apply international rules criminalizing acts committed prior to their creation. As the Court of Cassation is the highest court in the French state, its decision cannot be overturned. The import of the court’s decision is that no state can legally enact ex post facto legislation to prosecute genocide, a stance that is at odds with both international law and state practice. (Disclosure: Paul Bradfield was a member of the Defence team of Ildephonse Nizeyimana at the ICTR). [i] Prosecutor v Bagaragaza, No. ICTR-05-86-AR11bis, Decision on Rule 11 bis Appeal (30 August 2006), para. 9; Prosecutor v Bagaragaza, No. ICTR-2005-86-11bis, Decision on Prosecutor’s Request for Referral of the Indictment to the Kingdom of the Netherlands (13 April 2007), para. 11. This entry was posted in Extradition, France, International Criminal Tribunal for Rwanda/ICTR, International Criminal Tribunal for the Former Yugoslavia/ICTY, International Justice, Rwanda by Paul Bradfield. Bookmark the permalink. Good post Paul. I would go further and point out that not only does Article 15(2) of the ICCPR specifically permit the retroactive punishment of recognised international crimes under domestic law (one just has to read the article – the intention is obvious! ), but that (1) this has in fact been recognised by various courts including the ECtHR (the European Convention contains the same 15(2) exception) (Kolk and Kislyiy), the High Court of Australia (Polyukovich), the Supreme Court of Canada (interpreting their own constitutional provision) (Finta) and (2) has been given explicit recognition in the constitutions of various countries in including Albania, Bangladesh, Canada, Poland, Rwanda, Seychelles, South Africa. One court that bucked this trend was the ECOWAS Court of Justice in the Habré case (as discussed by Valentina who you cited in your footnote). We can now add the French Court of Cassation into this exclusive (and wrong) club.